The riders endure everything from extreme heat and dust, to cold and wet for hours on end. So just how do they keep hair, beards,and moustaches in prime condition over a three week Grand Tour? 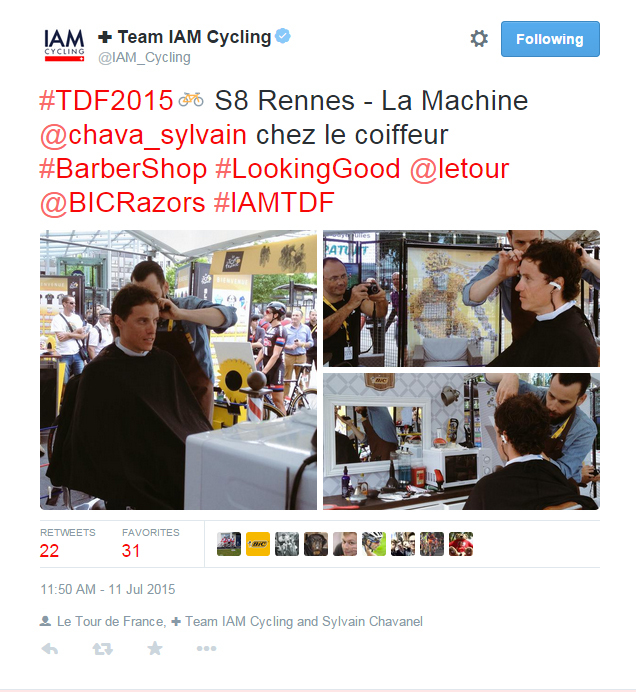 In number #341 of ‘things I did not know about the Tour de France’ is the existence of an official Tour barber, sponsored by Bic, who travels with the whole cavalcade from stage to stage and opens for business in the Start Village every day. It’s a fiercely contested position and this year’s barbier de choix is Hervé Boibessot from Toulouse. 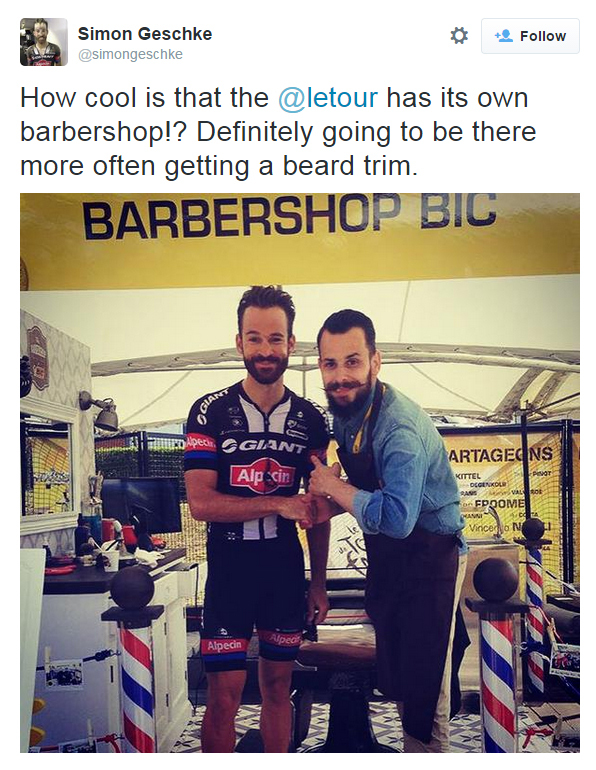 He’s an ardent cyclist as well as one of France’s top ten barbers according to GQ magazine – the perfect man for the post I’d say. Here’s VeloVoice favourite Sylvain Chavanel (IAM-Cycling) giving the hot seat a whirl. However, the article does go on to say that the Toulousain hopes to convince many clients to give hirsute facial adornments a try, whether a full beard or the 3-day stubble effect. I can’t say I’m completely on board with this idea. You can look out for the Tour barber on his Instagram account (@herve_ocofador/). Hirsute facial adornment – the way to go! My wife loves the two-day stubble, no more… and she’d lapse into a funk of depression over a beard! Heh, thanks for the comment. I am fully on board with the feelings of your wife in this matter. Though I will admit to a growing fondness for the ‘Musketeer’ look, and of course Dan Craven’s beard is a thing of wonder. See, Dan is a perfect example of a beard gone wild… He can hide a small animal in there!